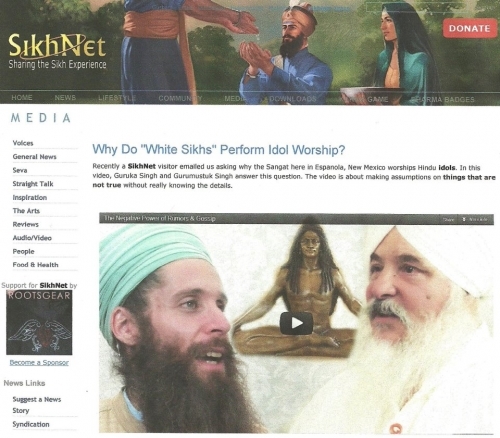 For Sikhs this article by SikhNet raises some important questions about Yogi Bhajan's loyalties & predispositions to teach & practice Hindu rituals & practices like astrology, pujas, tantric yoga, idol worship & magical incantations! Is this proper behavior for a Sikh? 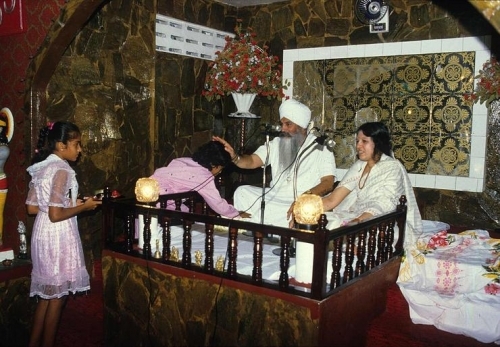 The pic shows Yogi Bhajan giving his darshan on a platform in a Hindu mandir & allowing a devotee to touch his feet like a Hindu swami.